That’s what I think a lot when I get up in the morning… usually already 10 minutes late, cause who gets up when the alarm rings for the first time – right?! I have left the no-breakfast-time long behind me and have since come to love this ‘most important meal of the day’. These days I can’t imagine leaving the house without my morning fuel, but as time is rare for a full-time working person (that also has to travel nearly 1.5 hours to work) something quick has to happen in the morning. Luckily some of this magic can happen in my fridge over night.Simple, quick, filling – and so easy to make. Yes, I am talking about overnight oats! Preparing breakfast the night before or even for the next days is a great thing when you like to roll out of bed last minute, but do not want to miss out on some nutritious goodness. Off into the jar with your oats + some of your favourite combos and you are ready to eat on the fly. And once you get to your desk (or wherever you work) you are ready to kick the day! As ‘Wake Up To Organic‘ is right outside our door (14th June) I thought I’d share some lovely, quick and organic recipes with you! Wake Up To Organic is an organic initiative that hundreds of organic stores, cafes and restaurants take part in each year to offer a free organic breakfast to visitors. Check out the website to find out which store is taking part near you – and grab some yummy breakfast on the go 😉 Find the locator here. Here are 3 awesomely quick, amazingly nutritious and and dang delicious Breakfast-To-Go recipes including super-foods for an extra boost and 3 different conserves for extra flavour. 1. Mix the oats with the baobab and the cacao powder, then slowly stir in the soya milk. 2. Set into the fridge over night or for a minimum or 4 hours. 3. 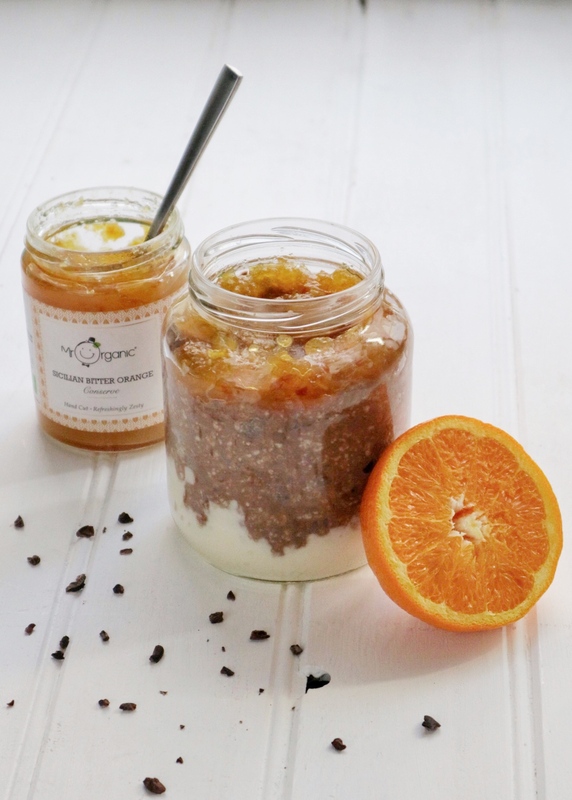 Assemble your breakfast jar: yogurt, overnight oats and top with the Bitter-Orange conserve, then gently stir in. 1. Mix the oats with the Maca powder and in a separate container blend the milk with the vanilla extract. 3. 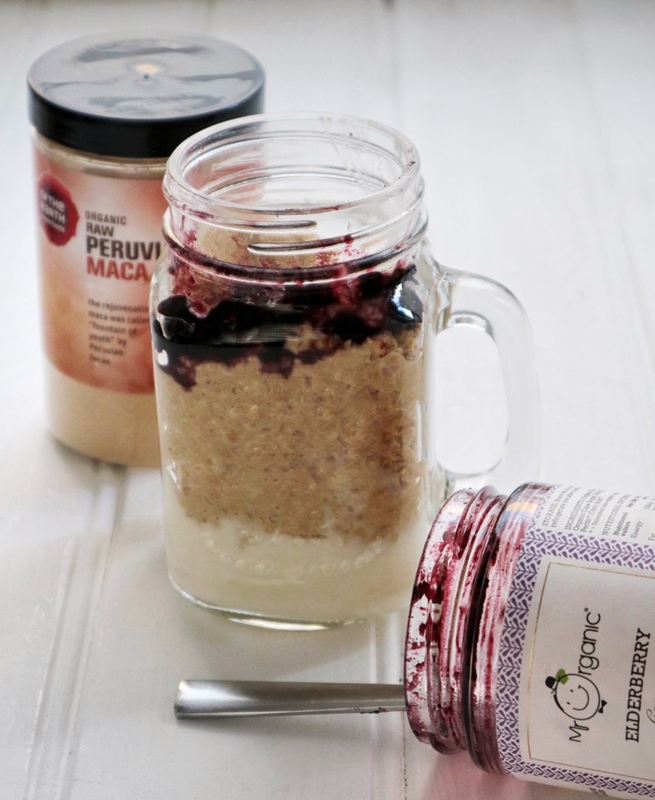 In the morning (or simply before you go to bed) assemble your breakfast jar with yogurt, overnight oats and top with two spoons full of the Elderberry conserve and roughly stir it in. 1. Mix the oats with the beetroot powder, then slowly stir in the soya milk. 3. 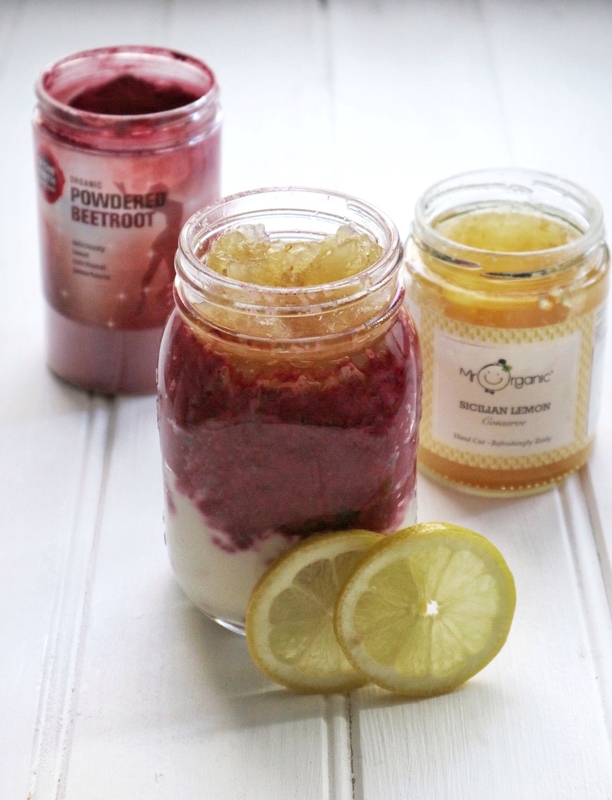 Assemble your breakfast jar: yogurt, overnight oats and top with the Lemon conserve, then gently stir in. Want more breakfast recipes? Then simply click here to get to the full recipe page. Want to find out more about Wake Up To Organic? Click here.